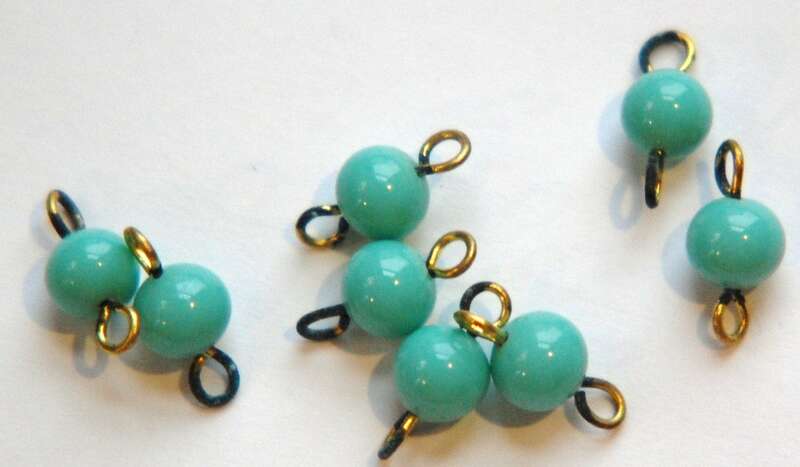 These are vintage blue glass bead connectors that were made in Japan. These drops have 2 loops. The metal shows discoloration. The beads measure 6mm. You will receive 8 pieces. Quick shipping. Just as pictured.